The rumors are true. We are in fact living through a digital revolution and fashion influencers play a huge role. What will the future of fashion look like? How will brands and influencers get on the same page? And most importantly, how will we save the blogging culture we've worked so hard to build here in the Pacific Northwest? 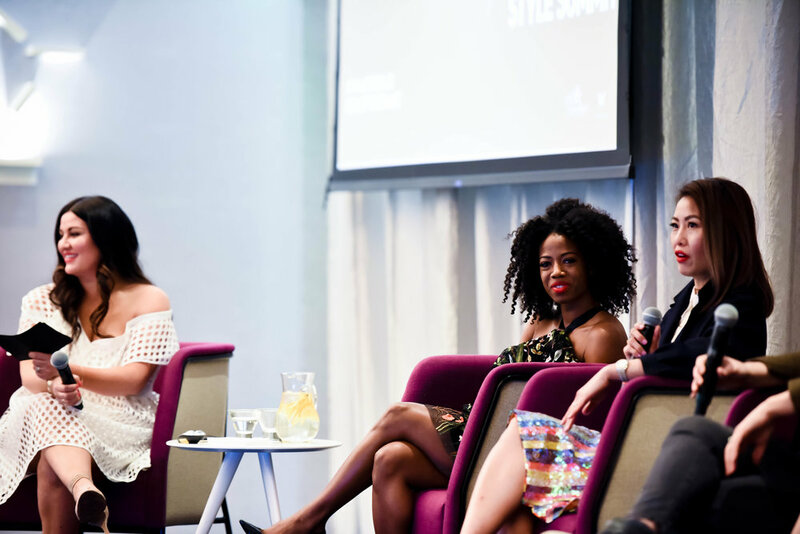 We explored these questions and more at last weekend's WHAT SHE SAID Style Summit at W Bellevue. When we started the summit just three years ago, the blogging scene in the city was a very different place. Influencers hadn’t yet mastered photography, they weren’t yet thinking about themselves as personal brands, they hadn’t yet figured out how to effectively work with brands, and the community wasn’t gathering to connect in real life on a regular basis. In fact, back then, there weren't many bloggers who had more than 2k followers, and today, 10k is the average. Fast forward to 2018 and the style blogging scene has exploded in Seattle. In addition to a high volume of bloggers in the market, we’re seeing regular meet-up groups, active comment pods, more engagement on social media platforms, and a major trend of bloggers quitting their day jobs to pursue their creative passions full-time. It's an exciting time to be a blogger in Seattle. Not only is there economic prosperity in the city, there's an opportunity for bloggers in the market to partner with brands and businesses who desperately need (and want!) their expertise on content creation and social media. The question becomes, how can we leverage what we’ve built? How can we make the creative work that we're doing sustainable? And most importantly, how can we leverage the platforms we’ve created for the greater good? The answer is by moving forward with a level of consciousness we can be proud of. We need to raise the bar when it comes to creating content and sharing the stories that truly matter. There's a lot of noise out there in the blogging sphere, but I truly believe that the only style bloggers who will be around in the next 3 years are those who are committed to sharing authentic content that makes the world a better place. If Amazon is raking in .60 cents for every U.S. dollar spent on apparel and accessories, we need to be working overtime to support the brands who are fighting for the rest of that dollar. I challenge my fellow style bloggers in Seattle to rise to the occasion in the year ahead and support small businesses and other lifestyle brands (and causes) they are passionate about. In the words of our Keynote speaker Andrew Hoge, "Being a good human never goes out of style". Gossip & Glamour will host a stylish celebration tonight at Pacific Place to mark the one-year blogging anniversary for three local style blogs. Kahla Perry and Rechelle Lewis of SEA of Sanctuary, McKenna Herzog of Style Her Lovely, and Shaylyn Rae, will all gather at the Styled Seattle Suite to celebrate with readers and toast to the year ahead. The event, sponsored in part by Pacific Place, will recognize the contributions these local influencers are making in the blogging community, and give them a chance to connect offline with those who have supported their journey. Guests will enjoy catering by Il Fornaio, wine by Robert Ramsay Cellars, sweet treats by Trophy Cupcakes, and the chance to enter to win amazing raffle prizes throughout the evening.